The hunting show world is changing, and I believe it’s for the better! More and more online hunting shows are growing on Youtube, Vimeo, and individual websites. These shows have the unique ability of producing content in a semi-real-time format with some shows posting episodes the day of or day after a hunt takes place! This new format is sure to take the hunting community by storm as I know I love seeing hunts as they happen versus a year later on traditional cable TV! 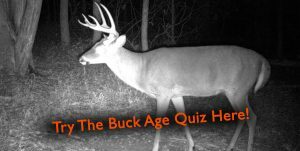 With so many new hunting shows appearing online, I have reviewed my top nine favorite semi-real-time whitetail hunting shows. I have given them all a rating based on video quality, information available through their videos, the timeliness of their productions, and the creativity of their hunting styles, and have also have included the frequency at which each channel produces videos. I hope you enjoy checking out all of these semi-real-time hunting shows and decide for yourself which ones you would like to subscribe to! I’m a little biased toward The Hunting Public because it is my all-time favorite hunting show! These guys do a great job of turning around complete edited videos within a couple days of the hunt, and in some cases the same night! THP produces videos all year long ranging from scouting to smallmouth fishing to their most recent Deer Tour. They are a great group of young guys that clearly enjoy hunting public land hard, producing great video, and doing whatever it takes to think outside the box and make something happen. I really believe that THP, above all other hunting shows, will force you to rethink the way you hunt and consider new hunting strategies. Very informative and fun to watch! The guys at Bowhunting.com have been producing a weekly web show for nearly a decade now and they are darn good at it! The Bow Hunt Or Die web show is produced weekly beginning in mid-summer and following through all of deer season with most episodes being between 30 and 45 minutes long. The show is hosted by Justin Zarr and Todd Graf who produce much of the content for the show. However, there is a diversity of hunters featured on the show, from BHOD pro-staff to viewer submissions. Most of the content is geared toward white-tailed deer but there are also some western hunts featured too. These guys do a great job of producing quality video footage with a high production value and I look forward to their show every Friday! The Midwest Whitetail Web Show has been producing semi-real-time hunting content since before it was cool. Between Bill Winke and his group of pro-staffers, the Midwest Whitetail crew do a great job producing quality video on a weekly basis. Most videos are around 20 minutes long and they primarily focus on hunting privately managed properties in Iowa, but occasionally they will feature a public land hunt. This is a must-watch online show if you enjoy seeing big deer get shot and hearing about the strategy and stories behind each hunt! Chance and Brody Vordestrasse are building a great new Youtube channel that produces semi-real time videos within just a couple days of their hunts! They are based in Nebraska and mainly hunt public land. They work hard to produce good content with exciting hunts and include helpful information that informs the viewer about their hunting tactics and the strategies they are applying on public land whitetails. Overall, these guys have a great start and I’m sure the channel will grow quickly as people get hooked on seeing their semi-real-time public land hunting exploits! Mark Kenyon produces a weekly video series year round called Wired To Hunt Weekly. In these short (usually 5 min) updates, he generally will summarize what he is currently doing in the hunting world or update the status of a current hunt. These short videos are simple yet enjoyable and serve as a great supplement to the Wired To Hunt Podcast. Cabela’s whitetail season is produced by the guys at Midwest Whitetail and is a good quality web show. Each week, episodes jump between several guys across the Midwest and give updates on their weekly hunting adventures. It is structured very similar to Midwest Whitetail with episodes being produces all fall and generally has great video quality. These guys are based in WV and have a very diverse Youtube channel. They are not always the timeliest with their videos, but often they will have a video produced within a few days to a few months of the hunt. The biggest reason I have included them in this post is that they are a new channel and are different from most hunting tv shows because of the wide diversity of videos they produce. From spot and stalk pig hunting to dog hunting bears to white-tailed deer in the WV mountains, these guys keep it interesting. They produce good quality videos and often feature public land hunts. I look forward to seeing this channel grow! Dr. Grant Woods is a wildlife biologist and habitat consultant who also produces a weekly online show. Growing Deer TV focuses on what Grant and his team do to improve hunting opportunities on his farm. It is a year-round show, with winter and summer episodes focusing on food plot management and some habitat management. During the fall and spring the show features hunts from Dr. Woods and friends and family. Growing Deer does a great job of building history with the bucks they pursue making this a fun show to watch, especially if you enjoy learning about food plot management and seeing the progression of management on Dr. Wood’s farm. I already mentioned the weekly Midwest Whitetail main show, and here I want to throw a special shout out to their unique regional shows. They divide the country up into 5 regions: the East, Southeast, Great Lakes, Great Plains, and Heartland. Each of these small regional shows has its own host and unique group of guys and girls who produce hunting footage for the shows. The coolest thing about these shows is that you can select one that is based near you and be entertained watching recent hunt from the region and state that you hunt in!